Does Your Customer Research Provide Deep Insights to Improve the Customer Experience? Customers are the source of real growth. Our experiences conducting customer surveys and research for over ten years has shown that organisations with a high customer experience scores have higher customer loyalty. 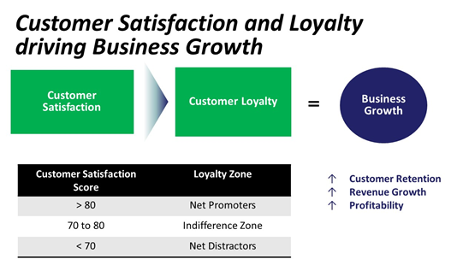 Our research confirms that the customer and satisfaction is a prerequisite for customer loyalty, and in turn, customer loyalty is one of the most critical drivers for long-term, sustainable business growth. 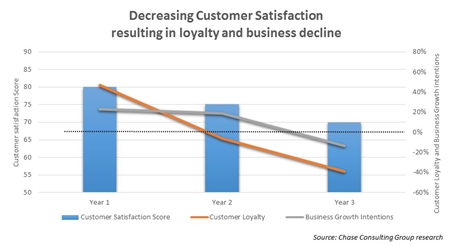 However, how do you encourage long-term customer loyalty when your customers’ behaviours and habits rapidly change? This can be achieved by connecting with your customers and conducting annual surveys that combine in-depth customer insights and a deep understanding of strategic drivers. It is one method to enable an organisation to keep in touch with customers’ changing habits. In turn, this can assist to create sustainable growth. A well designed annual survey will highlight how customers’ preferences and behaviours are changing and will provide many deep insights into where market segments are moving. These insights are integral to strategic decision making and improving long-term customer satisfaction and loyalty. Chase Consulting has conducted customer surveys for over ten years. The findings to come out of this experience demonstrate again and again that organisations with a high customer experience and satisfaction scores have a higher customer loyalty. 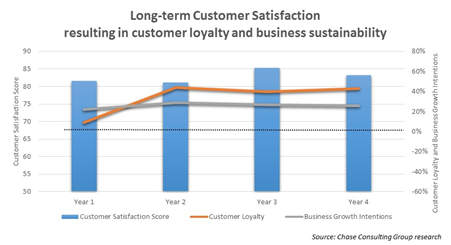 Our research confirms that the customer experience and satisfaction are one of the most critical drivers for customer loyalty, and that customer loyalty is one of the most critical drivers for long-term sustainable business growth. Annual customer surveys, if properly constructed, provide many deep insights into customers’ changing habits and behaviours. Customers become more profitable over time, and loyal customers account for a high proportion of the sales and profit growth of successful organisations. 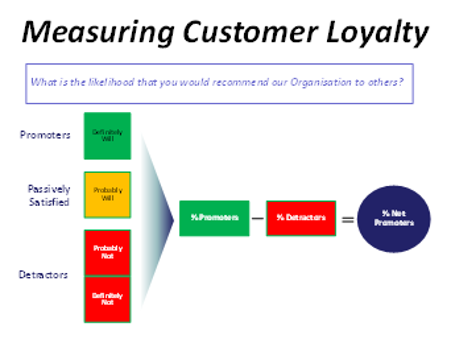 Customer loyalty or Net Promoter Score(SM)  is used as a benchmark across businesses and industries. It is a measure of by how much ‘promoters’ outnumber ‘detractors’ (as a percentage). The highest scores range from 25 to 80. The average firm scores 5 to 10. In other words, the average firm’s ‘promoters’ barely outnumber their ‘detractors.’ Firms with negative customer loyalty are creating more ‘detractors’ than ‘promoters.’ These low scores help explain why they are unable to deliver profitable, sustainable growth. ‘Detractors,’ meanwhile, are responsible for 80% to 90% of the negative word-of-mouth. ‘Detractors’ generally defect at higher rates than ‘promoters,’ which means that they have a shorter and less profitable relationship. ‘Detractors’ also complain more frequently, thereby consuming customer-service resources. The results and insights from an annual survey are best summarised into a suite of customer-centric and brand scorecards that can measure and track annual performance. In addition, an annual customer survey ought to include a range of customer segmentation and geographic variables against which the results are analysed. The next critical step when utilising the collected information is to workshop the survey results and develop a strategic plan that addresses the customer issues and insights identified. It is very important that the critical issues be addressed within the twelve month survey period. It is our observation that where an organisation has failed to address an issue raised in the survey, it is then critically scored in the following year’s survey. This highlights an important second step: ascertaining the changing desires of your customers are ineffective if that information is then not proactively addressed. Use the deep insights to prioritise your investment decisions.